Jomo Nyaribo is a Partner at MMAN Advocates in charge of the Litigation and Alternative Dispute Resolution practice group. He has over 12 years' post-admission experience in commercial litigation and arbitration, with emphasis on banking, construction arbitration, employment, tax, insolvency and receiverships, environmental and intellectual property litigation. Jomo has acted as counsel for both local and international clients. 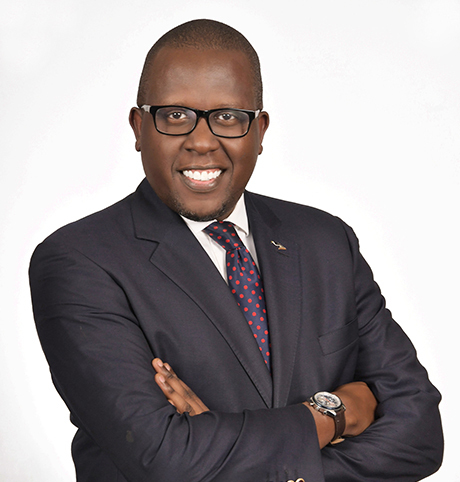 An Advocate of the High Court of Kenya, Jomo is a member of the Law Society of Kenya, the International Bar Association and a Fellow of the Chartered Institute of Arbitrators (UK).